Pilates is known for it’s benefits of increasing strength, flexibility, mobility and balance. All things we take for granted on a daily bases, but not if you have MS. 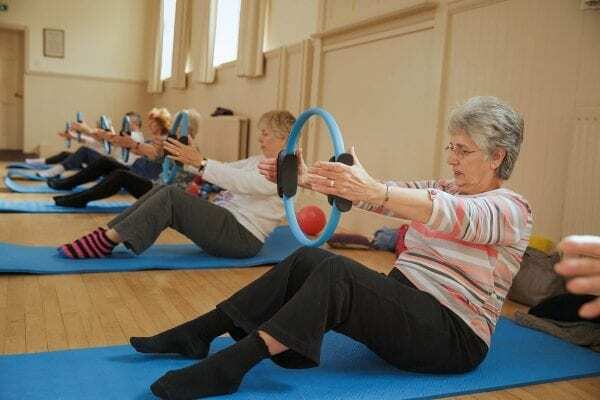 The benefits are therefore important for those who suffer from MS. Whilst symptoms vary for everyone with MS the benefits of doing regular Pilates will help with weakness and fatigue and balance problems. Originally exercise for people with MS was not recommended but now it have found that moderate exercise can have a positive benefit. Another advantage of Pilates is that the exercises can be adapted whether in a wheel chair or able to get to the floor. Without losing the reason for doing Pilates in the first place. I have been teaching my client Marilyn for several years. Marilyn is now in a wheel chair has a Pilates session once a week. I recently asked her little bit more about her condition and how Pilates was helping her. When were you first diagnosed with MS? I was diagnosed 30 years ago at the age of 36. I was fit and a committed Christian which helped me when i had all the test and results. How was your life affected after your diagnoses? For the next 10 years i worked, drove a car, swan every week staying fit still. The following 10 years mobility became more of a problem and i had to use a walker up and downstairs. I also had to give up driving, maybe now i could have carried on longer with the introduction of hand paddles in cars. I also started having a weekly physio session. The last 10 years my mobility has got worst and i now use a wheelchair all the time. Pilates keeps my core strong, we do a lot of stretching and mobility exercises with arms and shoulders and also a small amount of strength work on the arms. I have found that engaging my core helps when i am transferring to the toilet, bed chair and stair lift. I always here your words in my head all the time! How do you keep so positive? My husband and I still go on holidays, rock concerts and the theatre and to the pub with friends! Life is for living and I have lots of friends. MS doesn’t have to mean that you cant carry on with things or stop you from starting exercise to keep you strong and as fit as you can be. then please do take a look around our site. PreviousPrevious post:Milly’s GuideNextNext post:Do you struggle to keep your Pilates practice going during the summer?